The Nashville Lawn & Garden Show is underway and Outdoor Lighting Perspectives of Nashville would like to cordially invite you to join us as we welcome spring! This year’s show is going on indoors now through Sunday, March 3rd. at the Fairgrounds Nashville. The Nashville Lawn and Garden Show is Tennessee’s largest and most popular annual gardening event showcasing all aspects of outdoor living, including acres of beautiful gardens and the newest outdoor lighting designs and ideas! Our lighting can be seen used in a variety of settings throughout the show and you can also stop by our featured booths (#215 and #216), to learn about making your landscape and gardens a showstopper at night! Our talented team will be located in booth #215- #216, where we will be sharing a wealth of ideas about landscape lighting for your gardens, trees, hardscapes, outdoor living spaces and more. This year’s theme for the show is “Changing Times, Changing Gardens“. With this in mind, the emphasis towards “green” outdoor lighting continues to grow here in Nashville and we will have our newest LED outdoor lighting technology on display and our team will be on hand to discuss your lighting needs! Advance tickets: Purchase at EventBrite or at the door. 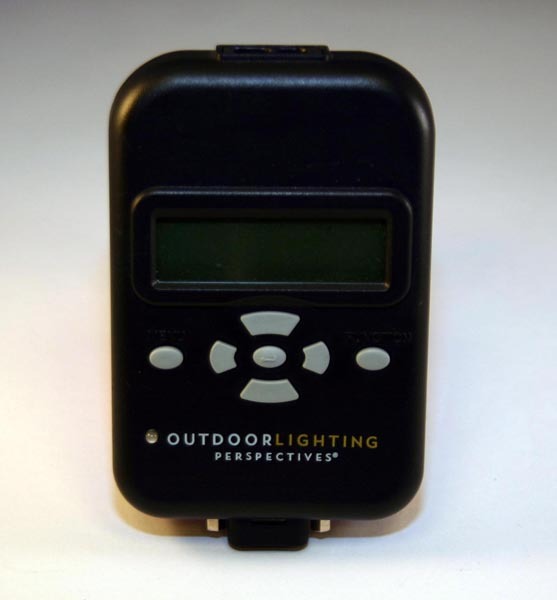 You can also contact Outdoor Lighting Perspectives of Nashville at (615) 373 – 0638 or via email at olpnashville@outdoorlights.com. Join us in welcoming spring this weekend at the Nashville Lawn and Garden Show! The Nashville Lawn & Garden Show is underway and Outdoor Lighting Perspectives of Nashville would like to cordially invite you to join us as we welcome spring! This year’s show is going on now through Sunday, March 5th. at the Fairgrounds Nashville. “Plant a Forest: Gardening for the Future”, is the theme, and the show includes live gardens, lectures and demonstrations, a floral design gallery, and vendors marketplace. The event will also feature a one-day wine festival on Saturday, showcasing some of the best local vineyards and wineries. The Nashville Lawn and Garden Show is Tennessee’s largest and most popular annual gardening event showcasing all aspects of outdoor living, including acres of beautiful gardens and the newest outdoor lighting designs and ideas! Our lighting can be seen used in a variety of the garden displays and you can also stop by our featured booth to learn about making your landscape and gardens a showstopper at night! One of this year’s display that features our lighting. “Glamping” never looked so good! We will be in booth #219 located in the Vendor Marketplace where we will be sharing a wealth of ideas about landscape lighting for your gardens, trees, hardscapes, outdoor living spaces and more. The emphasis towards “green” outdoor lighting continues to grow here in Nashville and we will have our newest LED outdoor lighting technology on display and our talented team will be on hand to discuss lighting control automation, LCA, to carry the benefits of green outdoor lighting technology a step further. We are located in booth #219, stop by and say hello! ETickets for the show are available online or may be purchased at the door. Earth Day is Tuesday, April 22nd. Remember that making a difference begins with YOU! Today marks the 44th year we have celebrated Earth Day. I am sure you have heard about it, but do you know what it means? Or how it began? Every year on April 22nd, over a billion people in 190 countries take action for Earth Day. Just like Earth Days of the past, Earth Day 2014 will focus on the unique environmental challenges of our time. By taking heed as the world’s population migrates to cities, and as reality of climate change begins to come to fruition, the need to create sustainable communities is now more important than ever. 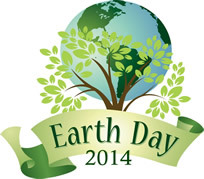 Earth Day 2014 will seek to do just that through its global theme: Green Cities. 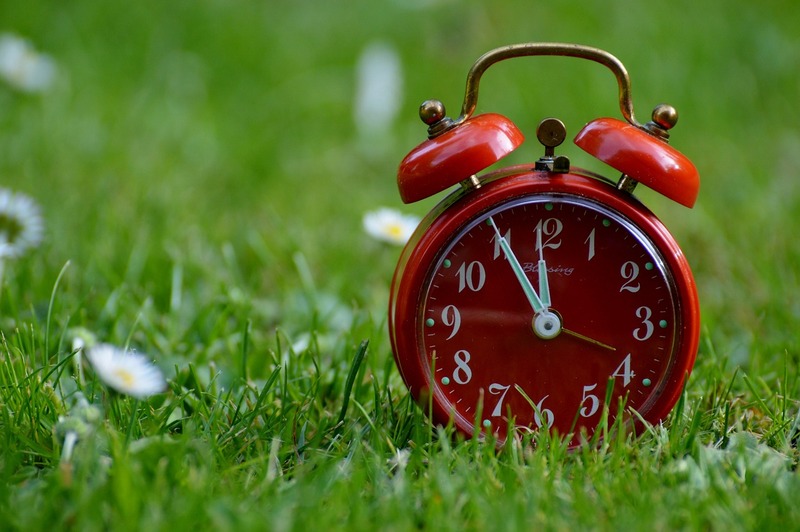 The day is set aside to raise awareness of our daily impact on the world around us and how we can make a change for the better by making smart investments in sustainable technology, forward-thinking public policy, and an educated and active public, we can transform our cities and forge a sustainable future. The first Earth Day was held on April 22, 1970 which is known by many to mark the beginning of the modern environmental movement. In 1970, here in the US, the hippie movement was drawing to a close. Musicians that headed the age and mood of the time, such as Jimi Henrix and Janis Joplin, died that same year, and the Beatles released their final album. Even though protest plagued the nation, environmental concerns were not at the root of the riots. The war at Vietnam took center stage, as did all those opposed to it. At the same time, automobiles with large V8 engines gobbled up gasoline. Industry forged on polluting the environment with smokestacks and runoff within a world where little or no recourse was sought towards the effect our actions had on the environment. 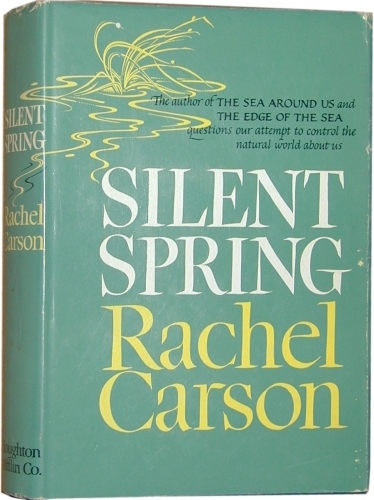 This all changed as a little known book, by Rachel Carson, written in 1962 titled ” Silent Spring” sold more than half a million copies in 24 countries and began to open the eyes of our nation, and the world. Maybe more than any one single person, Ms. Carson helped to raise public awareness and concern for living organisms, the environment and public health. The inaugural Earth Day held in 1970 capitalized on the emerging consciousness, channeling the energy of the anti-war protest movement and putting environmental concerns front and center. This initiated the continuation of observing an annual Earth Day in an effort to raise awareness of the impact our actions, negative and positive, can have on the planet. 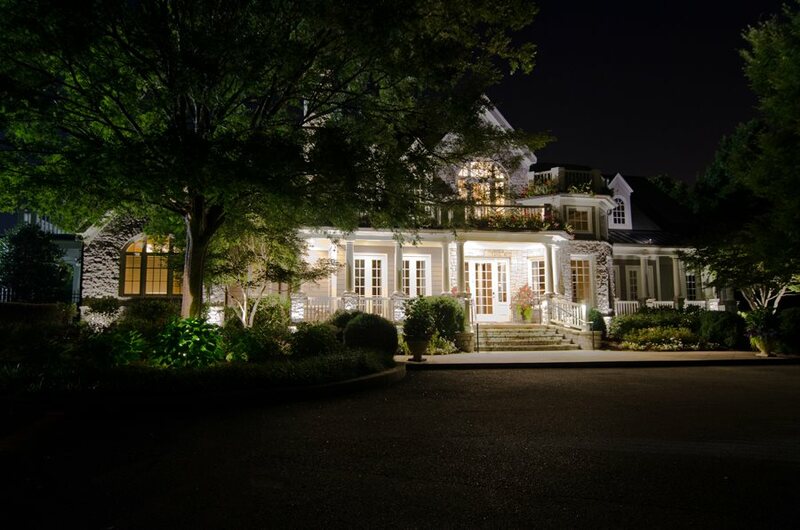 We offer our clients a way to invest in tomorrow through the use of “green” outdoor lighting technologies such as LED. 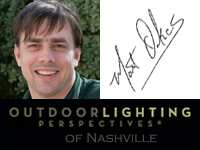 Here at Outdoor Lighting Perspectives of Nashville, we take the concerns that are observed during Earth Day very seriously every day. By providing a more environmentally sustainable approach to outdoor lighting with our LED lighting technology we are striving to make a difference. LED is by far, more energy-efficient, cleaner and a more eco-friendly way of outdoor illumination than other types of lighting. LED’s have a life expectancy in excess of 50,000 hours, which means less waste from bulb replacement. In addition, LED’s do not contain toxic chemicals. Most conventional bulbs contain a multitude of materials such as mercury that are dangerous for the environment. LED is also low-voltage, and energy-efficient which will save a tremendous amount in operating costs. 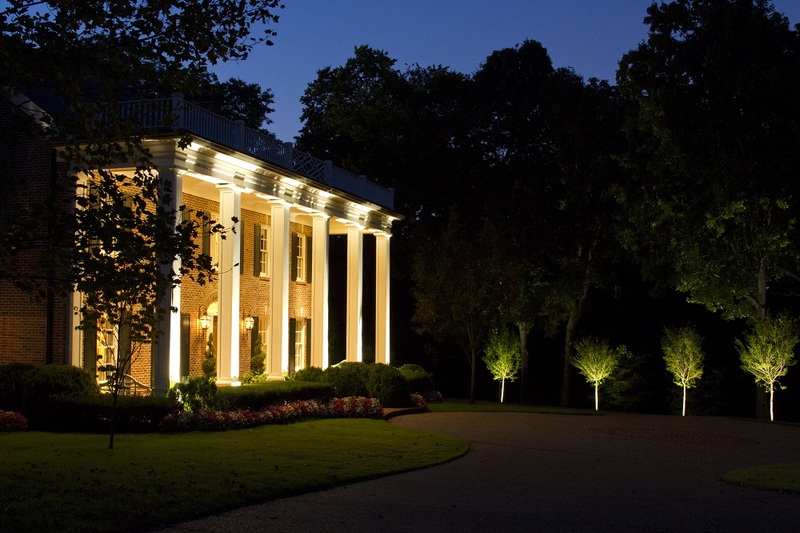 We are proud to be the Nashville area’s leading force for LED outdoor lighting. 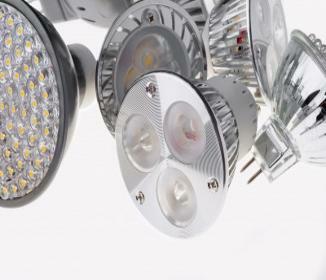 LED lights are long lasting, energy efficient and more sustainable than other lighting genres. 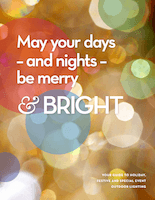 In addition we, along with our parent company, and our local manufacturing company (B&B Mfg. ), are also practicing what we preach about sustainable living practices. We are operating under a “green” approach to our workplace by recycling materials such as copper fixtures. We also recycle all the paper in our office and our goal is to allocate a paperless system in the near future by incorporating tablets with each of our field workers. We are also moving towards an automatic bill pay system so we save paper by not having to send out invoices each month. We have also installed solar panels on our building as well, to reflect the importance of less impact on the environment by reducing power consumption. 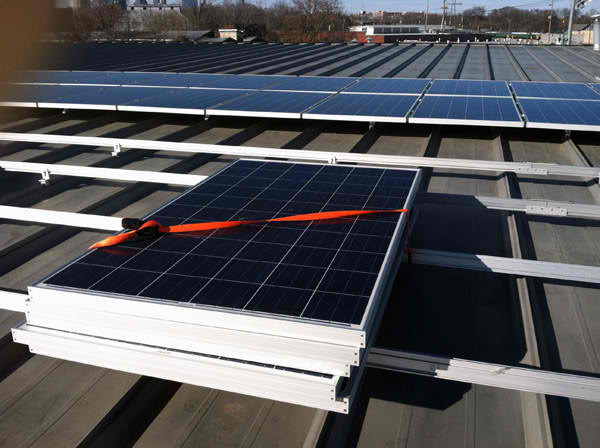 We installed solar panels on our building to decrease energy usage in our workplace, and our direct impact on the environment. 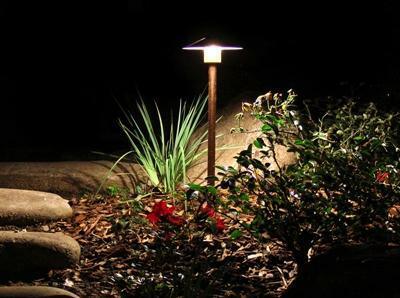 By working in a field of expertise, such as outdoor lighting, that now has the technology to offer homeowners a more sustainable living product, such as upgradeable LED bulbs that never get discarded in a land-fill but can be refurbished to reuse, it is only natural to begin at the core of our business. The workplace. Hopefully, each employee, delivery-person, and individual whom frequents our office will have these sustainability practices “rub off” on he/she and take a little piece of that realization back home with them creating a ripple-effect of sustainability initiatives to live by — taking a little piece of the “Earth Day” mentality away with them for tomorrow.